Rob Goodwin, is a 24-year veteran personal trainer, fitness expert, top Ketogenic Nutrition Coach and is known as a pioneer in the Ketogenic-Bodybuilding culture – he serves as a go-to resource for many. Rob Goodwin has been an unrelenting self-experimenter and has spent thousands of hours questioning the validity of every strength, conditioning and nutritional protocol on the fitness landscape. He has helped thousands of men and women achieve fitness success across the globe. His gift is being able to quickly diagnose a client’s unique needs and tailor a holistic fitness protocol to the individual while traveling the most direct path to the fastest possible results. His devoted, humorous, and easily understood manner is his trademark at the many fitness and nutrition seminars and consultations he has given over his career. Simply put, Rob just knows how to make it simple. Rob relentlessly researches and experiments, always testing and polishing his methods. Rob doesn’t just talk the talk: he has been living the ketogenic lifestyle since 2009, long before Keto’s surge in popularity and is a one-on-one Keto Coach for dozens of clients from all over the world. Rob is also the founder of the very popular Ketogenic Bodybuilding Group & Native Keto Facebook Group where thousands go for education and support. 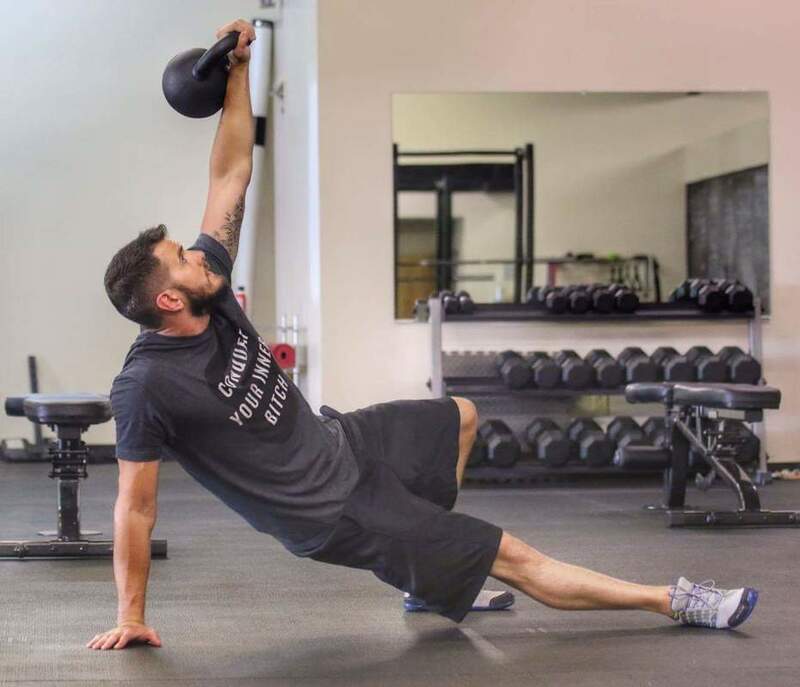 Rob began his career as a personal trainer in 1994 after moving to a small town in the Western foothills of North Carolina where he lives with his wife and four children. He currently runs his own private gym, Original Workout, where he trains and consults over 40 clients weekly. Rob also has clients online both nationally and internationally! He is coach and athlete in numerous disciplines including strength, conditioning, endurance and his own experience as both competitor and coach in NPC bodybuilding and physique competition. Rob provides personal training and nutritional advice for his wide-ranging clientele as well: from medical professionals and industry CEOs to active duty military personnel, law enforcement, to countless everyday people. His door is open to people no matter their fitness level and his approach is, and always has been, non-elitist and personal. Current and past clients have achieved double-digit fat loss, enhanced athletic performance, set PRs, general increases in day-to-day healthfulness and well-being. Rob is a believer in others, redefining strength, endurance, weight loss, and improved health to those who have placed their faith in him. Rob and his wife Nancy reside in a quiet neighborhood in the western North Carolina mountains with their four children. In addition to weight lifting, bodybuilding, ancestral health lifestyle, ketogenic nutrition, and trail running, he enjoys hiking, camping, and loves riding his motorcycle through the Carolina countryside. To work with Rob as your personal trainer or "keto coach", simply click HERE, fill out the quick web form and select "Rob Goodwin" as the trainer! 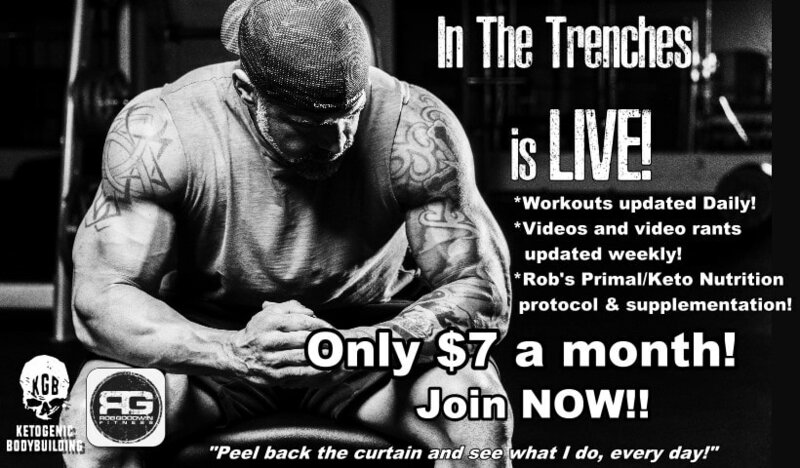 Or Train with Rob online anywhere in the world!! Click here! Ketogenic bodybuilding is turning the keto/bodybuilding world upside down! Check it out... click the Skull logo above!! "Tremendous thank you to Rob Goodwin and his staff at Original Workout. Without his training and nutrition concepts I would not have been able to excel in my running as I have done this year. Shattered my goal time for Charity Chase yesterday by five minutes. And the best part is....I'm only getting faster!! Thanks Rob!!" "Just wanted to give a shout out to my trainer Rob Goodwin. He continues to be an inspiration to me, (as I am sure he is to ALL of his clients ) in not only achieving my goals, but maintaining a high level of fitness. I appreciate and respect a trainer who "practices what he preaches" as it relates to healthy nutrition and physical exercise. In Rob's latest endeavor, prepping for a bodybuilding competition, he showed complete focus and dedication in his training and the results were phenomenal! That is the type of TRAINER I want COACHING me! That is the type of INDIVIDUAL who will INSPIRE me!" Through Rob's encouragement and workouts I've discovered strength I didn't know I had!! He is truly Hickory's Best Trainer!!! "I started working with Rob 2 years ago. I was overweight, unfit, and unhealthy. I felt bad about myself and what I had become. For Pete's sake, I was once a Division I athlete and a professional basketball player in Germany; but I let myself go after 3 children. So, I started working with Rob and it was tough. He never let me slack and complaining fell on deaf's ear. He had a plan for me; and he was not going to let me deviate. I am now 40 pounds lighter and competing in triathlons (something I would never have dreamed of doing). I am fit again and have a whole new perspective on fitness and nutrition! Rob was vital in my transformation. I will be forever grateful!" "Rob has helped me to become a better runner, cyclist, triathlete, golfer, and all around athlete. I wanted to give you an update/success story. After suffering a stroke 5 years ago and having to have a heart operation to correct an issue, I had been on the statin cholesterol lowering carousel & trying to get back into some sort of shape & condition with limited results. Since your nutrition seminar that my wife & I both attended, I have shed 40 pounds, gotten off the statin drugs, & have been taken out by my wife to find some pants/shorts that fit. I have not been in a pant with a 30 waist in over 15 years but, I am there today. My wife has also had very good results. With the nutrition information, instruction & encouragement from your staff during TRX classes, Boot Camp, & even the Warrior Challenge I am in the best shape I have been in since my stroke. I am quickly closing in on my 46th birthday and I just rode the fastest 100K bike ride that I have ever ridden in my life. I appreciate all of the help & support from you and your staff answering questions, & giving guidance in helping me get to this point.